As they say, life isn’t just about making money and having a successful job. Admit it or not, having all that success in a career wouldn’t be so satisfying unless you get to share it with the ones you love or simply with a special someone. But as time has changed, so have the priorities of most people. In this era, more emphasis has been placed on careers rather than on love. So, what do you do if you’re mostly busy from work but also want to finally meet that someone whom you’ll share all your success and happiness with? Of course, it would be too radical to simply choose one over the other. 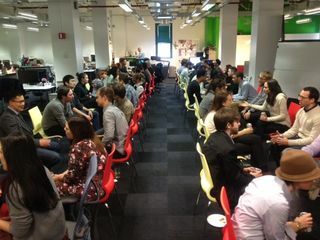 So, before you make any drastic decisions, why not consider speed dating? Speed dating isn’t a new concept anymore. It has been around for several years now. The first one actually happening in 1998 in Beverly Hills at a place called Pete’s Cafe. Basically, in speed dating, singles meet in an event. The pretense is eliminated because all those attending the event are there for the same purpose, which is finding a partner. For an allotted time, a pair of single people gets to meet and talk to each other. When that time is over, the singles get to interact with new singles in the event. Simply put, it’s just like one of those European dances you see in movies where they exchange partners as the music plays, except that with speed dating they’re not dancing but getting to know each other. Throughout the years, speed dating has already crossed several seas and borders. So it isn’t surprising to know that even here in Singapore, speed dating has also made its way. In fact, Social Development Network (SDN) is one of those that organizes speed dating events here. SDN continues to support the idea of marriages among singles and remains to provide an avenue for singles in Singapore to meet. To give all the singles out there a heads up, SDN is once again organizing an event for speed dating this coming May 4th, 2014. The event will be from 6pm until 9:30pm and it will be held at The Studio Bar, 778 North Bridge Road. So, if you’re ready to take charge of your love life and finally find that special someone, then go ahead and give speed dating a try! This entry was posted in Dating by Editor. Bookmark the permalink.